Tropika East location is at Foo Kim Lin Road, District 14 of Singapore. This 5-storey development offers 26 varying layouts from 1 to 3 bedrooms and penthouse. A multitude of facilities within this luxurious development will create an oasis for residents in this quiet landed housing enclave. 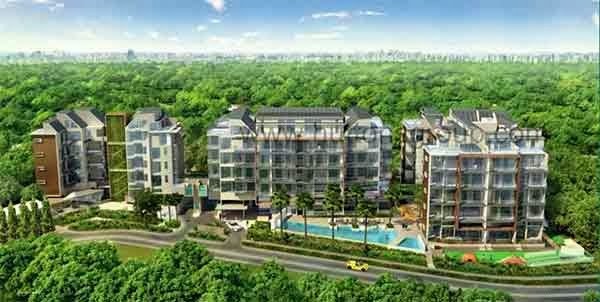 Tropika East at Eunos serves as an ideal surroundings for gathering spot and recreational site where social activities abound. A perfect home for families, professionals, and retirees which desire both the comfort of nature and convenience of city life style. At Tropika East resident will surely enjoy the things that really matters in their life. Download Tropika East floor plans and brochure.